Zettler Magnetics has a comprehensive current sense transformer manufacturing capability, producing both EI lamination types as well as toroidal current sense transformers. While offering a standard PCB mountable option, most of the parts we manufacture are custom designs based on our customer’s requirements. 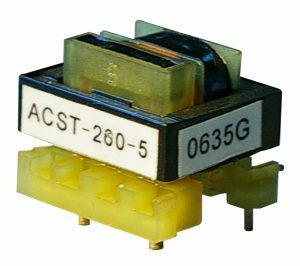 Current Sense Transformers for sensing AC loads are used in numerous applications. in this category have some level of customization. Zero to hundreds of amperes sensed, and frequencies ranging from 50 Hz to 400 Hz. Our solutions to specific custom requirements include the use of conventional material such as lamination, or materials such as iron powder, internally-gapped cores. A variety of mounting solutions, as well as core geometries, are available.